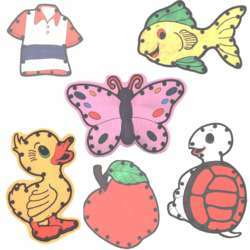 E-Z Sew sewing cards teach the young child (ages 3-7) how to sew, in addition to teaching dexterity and eye-hand coordination. 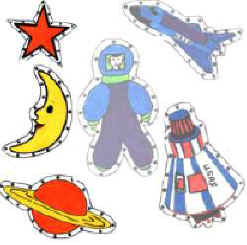 E-Z Sew sewing cards provide a sense of accomplishment as your child "sews" the figure, enabling you to have extra time with your own sewing projects. Each set of E-Z Sew Sewing Cards contains 6 colorful plastic cards with assorted yarns for "sewing" and in its own storage case. 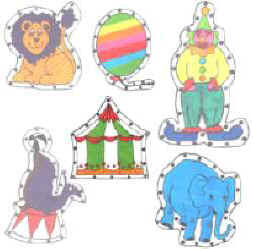 The sewing cards will entertain your child (both boys and girls!) for hours. 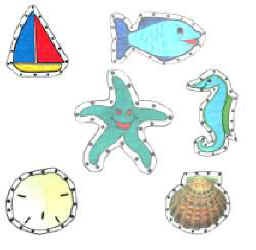 In addition, boys and girls will WANT to share these with their friends so they can "teach" their friends how to use them. 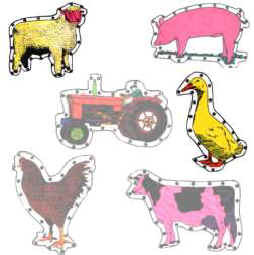 The skills learned with the E-Z Sew sewing cards are skills that will stay with the child for the rest of his/her life! 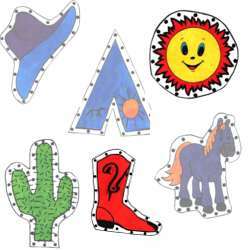 You can choose from the following sets of E-Z Sew Sewing Cards, according to your child's interests, or order several sets, so that your child will have plenty to share with his/her friends. The E-Z Sew Sewing cards can be ordered through PayPal as shown below each set, or you can send your order through the mail to Sarah Doyle, 3412 Holt Circle, #C, Pensacola, FL 32526, or call 1-850-944-7570 for Visa or MasterCard orders. E-Z Sew Sewing Cards make excellent gifts!